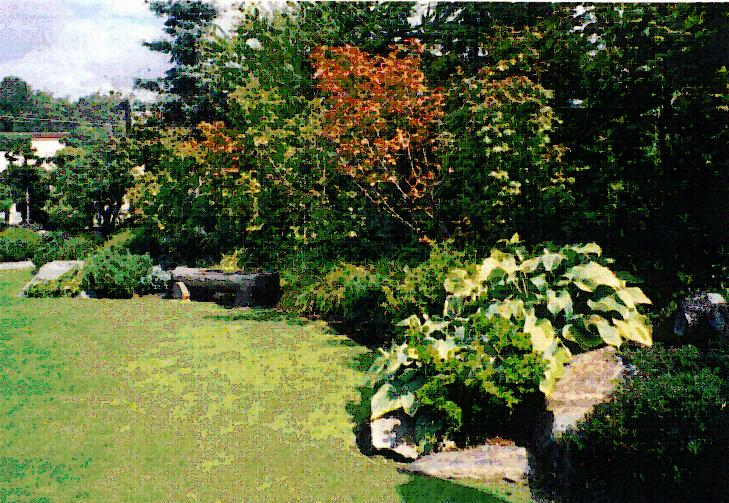 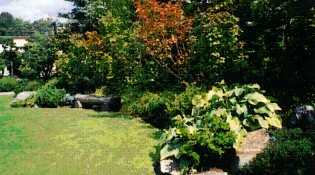 Plantings surrounding the open event space. 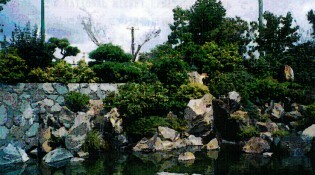 The walls help block the traffic noise and hide the ugly view from outside of the site. 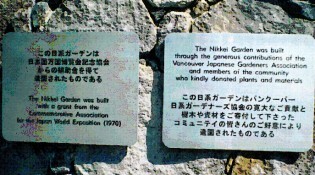 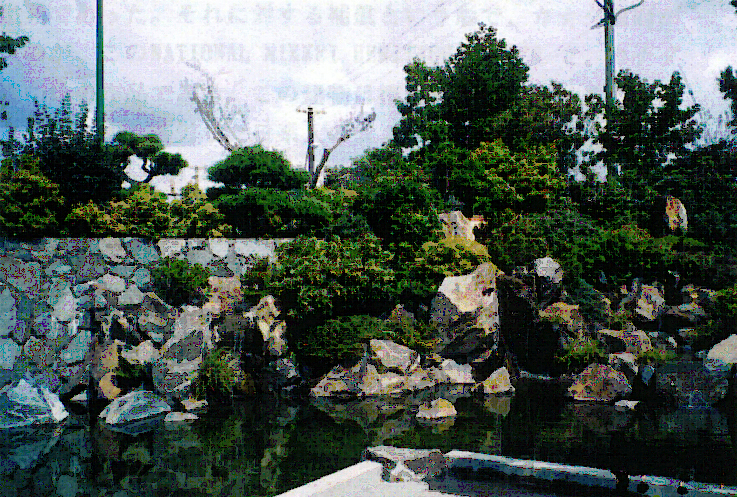 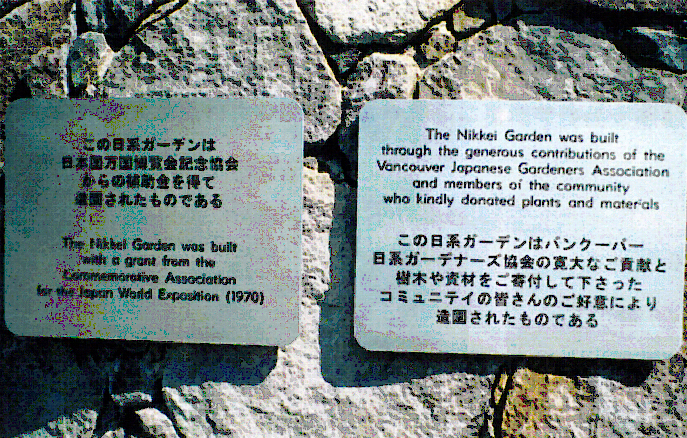 The Commemorative plaques of the garden.